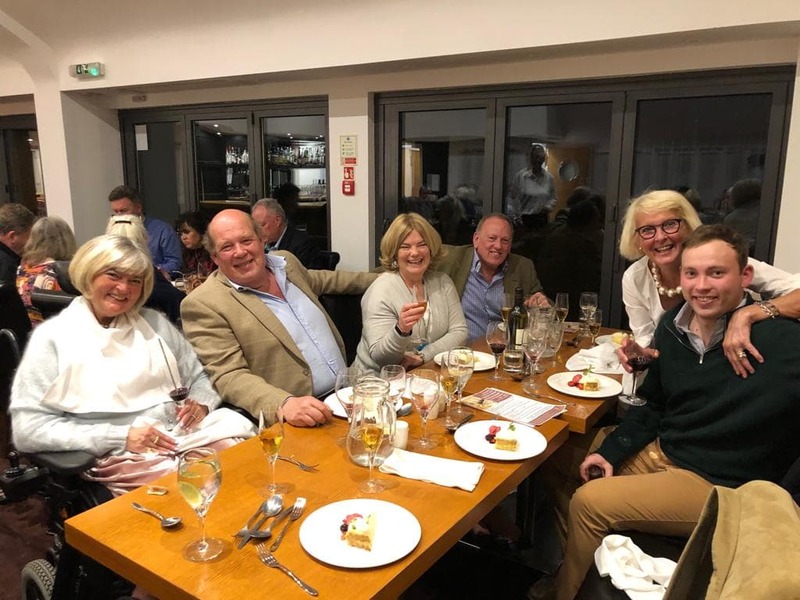 We had a fantastic gourmet meal at Sweetwoods Park Golf Club on Friday – with 20 Waud Wine Club guests alongside 10 Sweetwoods members, we had a super evening for the first of our gourmet dinners with them. After a reception drink of Mas de Daumas Gassac Rose Frizant in magnums, accompanied with Shellfish canapes – we made our way into the dining room and opened with the Brunel de la Gardine Cotes du Rhone Blanc 2017 with butternut squash veloute, followed by seared scallops with cauliflower puree – which was gorgeous. Onto the main course of slow roasted duck breast, with boulanger potatoes, figs, sauteed spinach and roquefort sauce – this was served with our Puech Haut Prestige Rouge 2016 from Languedoc, which was drinking perfectly. Onto pudding and were served a lemon tart, with lime mousse and a blood orange sorbet – paired with Domaine Berthoumieu Pacherenc Symphonie d’Autumne 2012 – a blend of Petit Manseng and Petit Courbu. We look forward to hosting another dinner at Sweetwoods in around 6 months time, keep your eyes pealed for when tickets go on sale! Click here to view the wine list from the evening.